The answer goes back to childhood; but, not only my childhood, my mother’s childhood. My mother’s job in her family was to fry the chicken, for Sunday dinner. As you can imagine, after years of chicken frying, she perfected the technique and could fry up delicious chicken. In my childhood, we had fried chicken every Friday. I just absolutely love it. The crunch, the spice, the tangy, the savory, the crispy. 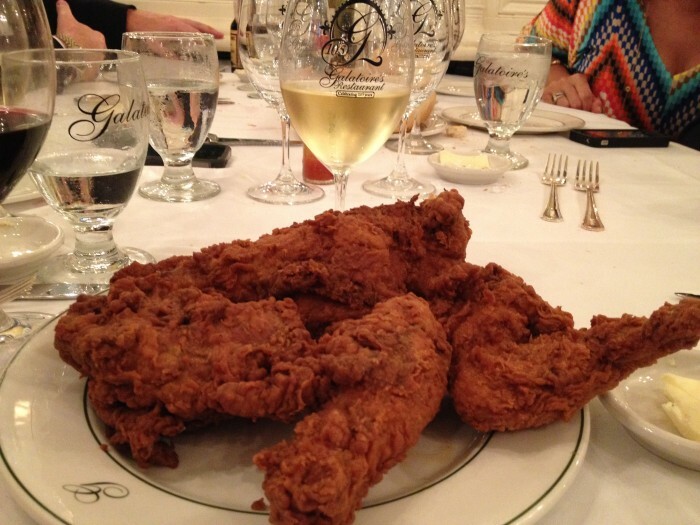 Throughout my adult life, some of my favorite times, with my favorite people, have involved fried chicken: Jazz Fest, Mardi Gras, July 4, you get the drift. What is your favorite food? and what memories has it helped you create?